Guy Kawasaki, former chief evangelist of Apple and current chief evangelist for Canva, kicked off Inbound 2014 with a few wise words for marketers—lessons learned from the late Steve Jobs. From thoughts on graphic design to innovating, Kawasaki delivered a keynote to inspire and remind marketers how to create better brands. Here are his 10 tips. 1) Experts Are Clueless. No one can predict the future, and oftentimes experts are simply wrong. Kawasaki noted that Western Union found “no use” for the telephone technology, banking on the fact that the telegraph would sustain. To truly innovate, you have to follow your own vision. “Experts are very poor predictors of the future,” Kawasaki says. 2) Customers Cannot Tell You What They Need. You have to drive your own innovation. “You can ask customers how to evolve something … but they cannot tell you how to leap,” Kawasaki says. 3) Jump to the Next Curve. “Most companies define themselves by what they already do as opposed to what they mean to companies. To be truly innovative, you don’t change what you’re doing, you create the next curve,” Kawasaki says. 4) Challenge Big. No risk, no reward. Mobilize your team to challenge the status quo. 5) Design Counts. Apple always embraced good design, because “it counts for enough people.” No matter your product or service, good design only enhances the experience. 7) Change Your Mind. Being nimble and flexible is vital, even if it means completely reversing your strategy. Kawasaki cited Jobs reversing his stance on opening the iPhone up to third-party apps. “Changing your mind is a sign of intelligence. It is not a sign of stupidity or making a mistake,” he says. 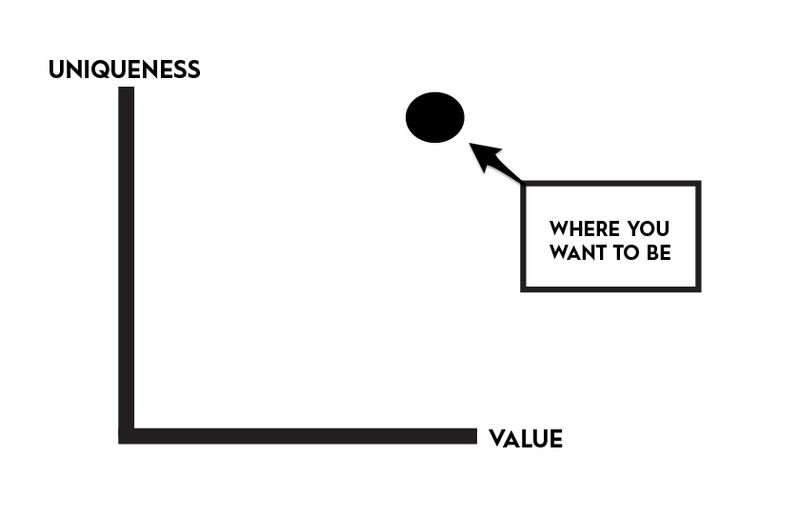 8) Value Is Not the Same Thing as Price. Price is what you pay on day one, but value is everything the sum total of total experience. Focus on providing value to your customer, and you can justify your price. 9) A Players Hire A+ Players. When individuals are threatened by talent and hire people less capable than they are, the company soon suffers. “Hire people who are better than you,” Kawasaki says, to create a healthy company. 10) Marketing = Unique Value. If you want to make history, focus on providing your customers a completely unique product or experience. Bonus Tip: Some Things Need to Be Believed to Be Seen. Although skeptics tend to believe that things have to be seen to be believed, “The world works quite the opposite way when it comes to innovation,” Kawasaki says. For more Kawasaki wisdom, check him out on @GuyKawasaki.